We all know the expression “alpha male” but we always use it in a wrong way. The term “alpha male” comes from wolf packs, but we apply it to people who actually don’t look like a real alpha male at all. In our imagination, the alpha male is always an aggressive man who imposes his ideas on others and establishes his leadership by force, doing everything only in his own benefit, stepping over everything else. But the true alpha male is something different. In wolf packs, leadership is carried out together with a partner: both the male and the female of a couple of power are authority figures. It’s a shame that we have such a violent and irrational image of wolves whereas they are creatures from which we could learn a lot. The alpha male in a pack of wolves doesn’t impose his leadership upon the pack violently. Alpha, either male or female, is an individual who inspires confidence in its pack mates. If you are a wolf you can be born in a pack and be promoted to alpha because of your personality and your leadership skills. You can leave the pack, find a female and start your own pack, or you can join another pack as beta. Although it has long been speculated about how the packs are structured, it seems that in the end it doesn’t have much to do with power struggles but with being the most suitable individual for the job and having the respect of the pack. If “you’re” an alpha, the pack will follow you, not because they must, but because they want. It’s interesting that we can find a social system based on trust, respect and responsibility in wild nature, within a species that we have always considered criminals. Although the change of the leader can be made through a “ritual battle”, it’s not a real fight in which wolves measure their physical strength, as the leadership in a pack of wolves always depends on the personality. An ambitious wolf that tries to challenge the current leader without being supported by the pack won’t get the job, even if it’s bigger, stronger and more ferocious. The mission of an alpha is mainly to keep the pack safe, united and well fed. So, for example, an alpha can be very active and aggressive while hunting and even take the first bites of the prey, but it will step back immediately and ensure that the whole pack is eating. It takes special care about the youngsters, either its own or those of the rest of the pack. An alpha never shows aggression to the rest of the pack or subdue them by force or threats. However, it shows its tough side in order to defend a member of the pack from external threats. Alpha is a true authority in all aspects and it is vital that the whole pack feels safe in presence of its alpha, adults as well as youngsters. The couple of alphas doesn’t usually have a lot of privileges above the pack, but if they do, the privileges are first of all the right to choose the territory and start the hunt and breeding preference, but little else. Although the leaders of the pack may sometimes sleep at a higher spot, the rest of the pack “at its feet”, it is not really a superiority mark because in this way alpha can have a broader view of the surroundings, keeping the pack protected from possible rivals or other threats. Although we don’t usually talk about it, the decisions of the alpha female are as important for the pack as those of the alpha male. 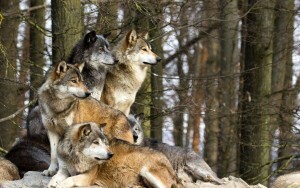 In fact the alpha female can influence the whole pack as well as the male alpha would do. 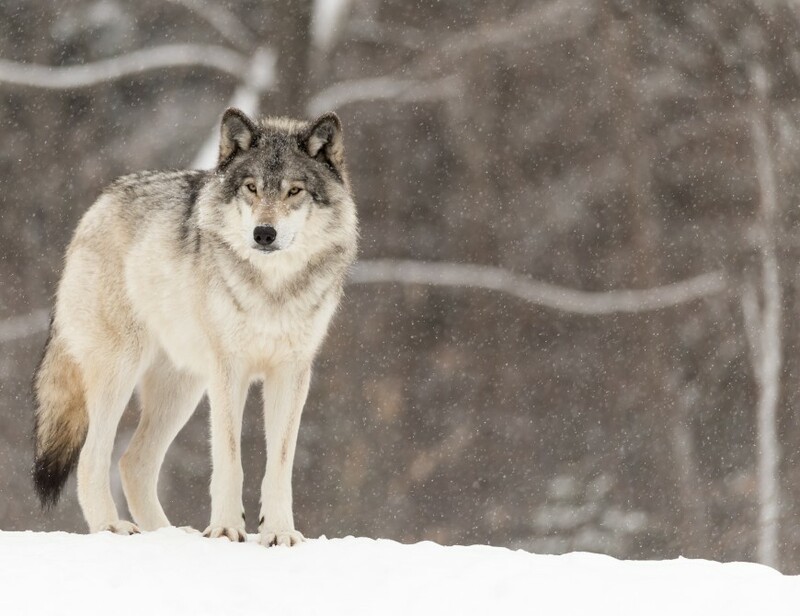 What can we learn from the wolves? This example is very clear and can be easily summarized. The leader of a team, as well as that of a pack, is primarily the one who knows how to gain support of the team, to be trusted by everyone. And how to keep that trust through responsible leadership when the best for the team is the goal. Leadership is not a privilege but a responsibility, and those who know it best so far are not the humans, but the wolves. Like Mariana López de Waard on Facebook for more news and tips! And if you want to be a part of a strong team, send a message here to Mariana and she’ll contact you.